Please join us in celebration of the recently released book Ghost Guessed with the photographers and authors Tom Griggs and Paul Kwiatkowski.. 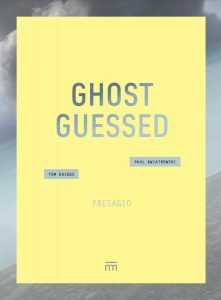 In Ghost Guessed Tom Griggs and Paul Kwiatkowski examine how absences caused by death make memories, no matter how abstract, more salient and complex. A combination of intimate prose and photographs brings into focus our human connections as filtered through technology and visual media. From Lindberg’s accident to the mystery of Malaysia Airlines Flight 370, Ghost Guessed reflects on how we process loss as it plays out in the ongoing digitalization of our lives. 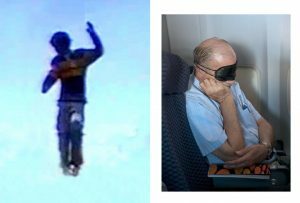 Tom Griggs is a photographer, writer and professor at La Universidad de Antioquia in Medellin, Colombia. He is Founding Editor of the photography site Fototazo. His first book Herida y fuente was published by Mesæstándarin, 2017. Paul Kwiatkowski, a photographer and writer, is based in New York. His first book And Every Day Was Overcast was released by Black Balloon, 2013. Ghost Guessed, Tom Griggs and Paul Kwiatkowski, Published by Mesæstándar, hardcover, 156 pages, text in English and Spanish, $30, available for purchase at The Print Center.